Our Blue X Sale 2017 is now on! 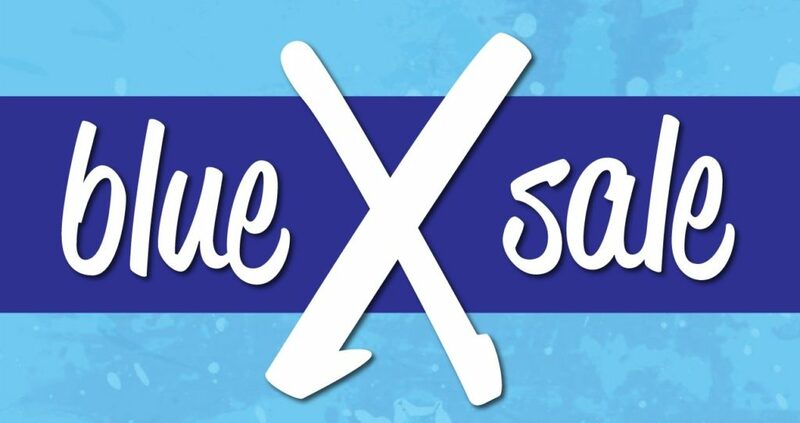 We are pleased to announce that our annual Blue X Sale 2017 is now on! Each week we offer a different percentage discount, the first week of January you are entitled to the highest amount and as the month moves on the percentage of discount will be reduced. To enable you to receive the discount code we are asking if you can contribute to a local charity. This year we will once again be supporting the Brighton Sea Cadet Corps. You can find further information about the charity and why I am supporting them (along with an embarrassing photo of me in my youth!) by clicking here. How do does it work? Click on our donation button below to make your donation via PayPal to the Brighton Sea Cadets. Once you have completed your donation, you will be re-directed back to our website to receive your Blue X Sale 2017 QR code. Simply make you bookings online in the normal manner via our booking page and show your QR code to your therapist when you come in for your treatments and the relevant weeks discount will be applied. Apologies but we are unable to include Waxing or Colonic Hydrotherapy treatments in this years Blue X Sale. Please see our Terms and Conditions below for further information. Remember only currently available dates and times will be displayed on the booking system, so if the time you want is not there someone has unfortunately beaten you to it! I hope 2017 brings you good health and prosperity and I look forward to seeing you at the salon soon! Discounts will be applied at check out on completion of your treatment simply show the QR code and your therapist will apply the relevant weeks discount to the booking. PLEASE NOTE WE ARE UNABLE TO OFFER DISCOUNTS ON WAXING AND COLONIC HYDROTHERAPY TREATMENTS. Each percentage discount is applied to each individual week, and the treatment has to be received during relevant week for that discount to apply. For example: If you book for a treatment and it is received during week 1 you will receive ‘Week1 Discount’ at 50% off. If you book a treatment to be received during week 3, you will receive ‘Week3 Discount’ at 30% discount. Treatments and bookings are subject to availability of therapists on a first come first served basis. Treatments cannot be paid in advance to receive your treatment later on in the month or year. The Blue X Sale discounts cannot be used in conjunction with other discounts or special offers nor redeemed with gift vouchers.